The 16th edition of the Live Image Seize tour kicked off in Tokyo at the Suntory Hall with subsequent shows at the Aichi Arts Center in Nagoya before closing at the Symphony Hall in Osaka for a total of six performances. Famous artists like flamenco guitarist Jin Oki, bandoneon player Ryota Komatsu, acoustic guitar duo Gontiti, violinist Naoto, pianist Takefumi Haketa, violinist Miyamoto Emiri and vocal group Le Velvets took the stage one after the other to raise money for the Kumamoto earthquake disaster relief fund through the Japanese Red Cross. Gontiti, a guitar duo who have topped Japan's jazz and instrumental charts over the past two decades, selected a Pinnacle-KR102 portable system for sound reinforcement during their portion of the tour. The system was installed just behind the famous duo and, although it was set up in front of the piano and the orchestra, it was never a hindrance or a visual obstacle. The Pinnacle-KR102 delivered a natural sound that seemed to integrate with the acoustic guitars, overcoming acoustic and reverberation issues. 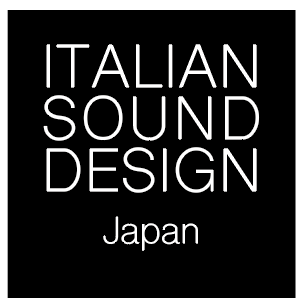 Shozo Sawaki, sound consultant from Sweet Boon Music was blown away: "More than any other speakers, they have a tone that leaves an extremely good sense of each instrument and their particularities. The acoustic guitar sound was delivered to all the audience exactly the way it was and blended perfectly with the sound of the orchestra." We managed to perform as we wanted, thanks to this sound, which was like a part of our instruments. Those speakers made a huge difference. We wouldn’t have been able to conceive this show without them.